Great News! 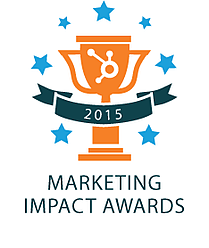 We're a HubSpot Impact Awards Finalist! This year, HubSpot wanted everyone to know just how awesome their partners are. After collecting client success stories in design, marketing, and development, they hand picked three finalists in each category. We're excited to announce that TSL Marketing is a finalist in not one, but two categories: Best Client eBook and Best Client Blog Series. Because of TSL's large internal traffic team, we are able to produce quality work that aligns with the goals of our clients. The process of creating our submissions was a great opporunity to showcase the hard work of our copywriters, designers, proofreaders, strategists, and the like. While it is still to be determined if TSL Marketing will be a HubSpot Impact Award winner, our team believes that just the nominations alone are an accomplishment. "Whether we win an award or not, I believe a nomination alone shows the strength of our work." To see our Best Client eBook submission blog, click here. To see our Best Client Blog Series submission blog, click here. "We're honored and excited to be recognized for our continued efforts to deliver world class marketing strategies to our valued client base. We hope you enjoy a glimpse into our process by reading our two HubSpot Impact Awards Finalist blogs."